Calling all landlubbers! 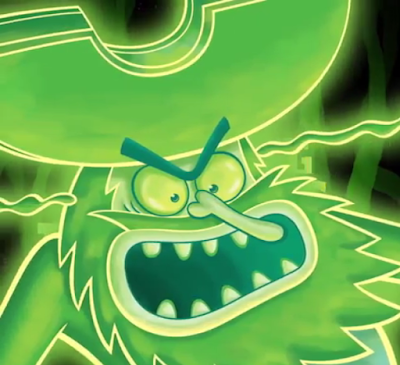 Nickelodeon USA has launched a brand-new SpongeBob SquarePants Instagram contest called "The Flying Dutchman’s Treasure Hunt Sweepstakes", which is giving fans a chance to win some truly Sponge-Tastic prizes! * X marks the spot! Once you've started following and seen all the clues, head back to @SpongeBob and look for the hidden post containing the link to the super top secret Instagram account containing The Flying Dutchman's Treasure! * Once you've sailed to the super top secret Instagram account, start following the account, open one of the photos and comment with the hashtag '#TreasureHuntSweepstakes' to enter "The Flying Dutchman’s Treasure Hunt Sweepstakes"! You can comment with the hashtag on each of the nine pictures featured on the account! - AND 18 SpongeBob SquarePants comic books. IMPORTANT: The “The Flying Dutchman’s Treasure Hunt Sweepstakes” (the “Sweepstakes”) entry period shall commence at 9:00:01 a.m. Eastern Time (“ET”) on June 29, 2017 and shall end at 11:59:59 p.m. ET on July 1, 2017 (the “Sweepstakes Period”). Viacom Media Networks' computer is the official time-keeping device for this Sweepstakes. All entries must be received by 11:59:59 p.m. ET on July 1, 2017. The odds of winning depend on the total number of Eligible Entries (hereinafter defined) received during the Sweepstakes Period. The Sweepstakes is open to individuals who are legal residents of one (1) of the fifty (50) United States or the District of Columbia and who are at least thirteen (13) years of age or older at the time of entry. Any entrant who has not yet reached the age of majority in the jurisdiction in which he/she resides (18, except AL and NE  and MS ) must obtain permission from his/her parent/legal guardian (“Parent”) in order to enter and if chosen as the Grand Prize (as defined below) winner, such Grand Prize will be awarded in the name of his/her Parent. Entrants must have an Instagram account in order to enter. NO PURCHASE NECESSARY TO ENTER OR WIN A PRIZE. A PURCHASE WILL NOT INCREASE YOUR CHANCES OF WINNING. VOID IN PUERTO RICO AND WHERE PROHIBITED OR RESTRICTED BY LAW AND OUTSIDE THE UNITED STATES. IF YOU ARE UNDER THE AGE OF MAJORITY IN YOUR STATE OF RESIDENCE, YOU MUST HAVE YOUR PARENT OR LEGAL GUARDIAN’S PERMISSION PRIOR TO ENTERING. MANY WILL ENTER, ONE WILL WIN. Full terms and conditions are available at at.nick.com/FlyingDutchmansTreasure. More Nick: Nickelodeon to Premiere Brand-New "SpongeBob SquarePants" Halloween Stop-Motion Animation Special: "The Legend of Boo-Kini Bottom"! Leonardo, Raphael, Donatello and Michelangelo return in Nickelodeon's season five anthology series, Tales of the Teenage Mutant Ninja Turtles, on Sunday 6th August 2017 at 19:40 Uhr on Nickelodeon Austria (Österreich) and Nickelodeon Switzerland (Schweiz)! The latest season of TMNT follows the Turtles through a variety of action-packed and bizarre adventures that have never been seen before. Produced at Nickelodeon in Burbank, premieres from the new 20-episode season will continue to air every Sunday at 19:40 Uhr on Nickelodeon Österreich and Nickelodeon Schweiz. Nickelodeon Northern Europe will also debut Teenage Mutant Ninja Turtles season five on Nickelodeon Germany (Deutschland) at 14:40 Uhr on Friday 4th August 2017. In the premiere episode, "Scroll of the Demodragon," Kavaxas (voiced by Mark Hamill (Star Wars) in the US dub), a hotheaded dragon man with mystical powers, partners with some of the Turtles’ worst foes to bring chaos to New York City. 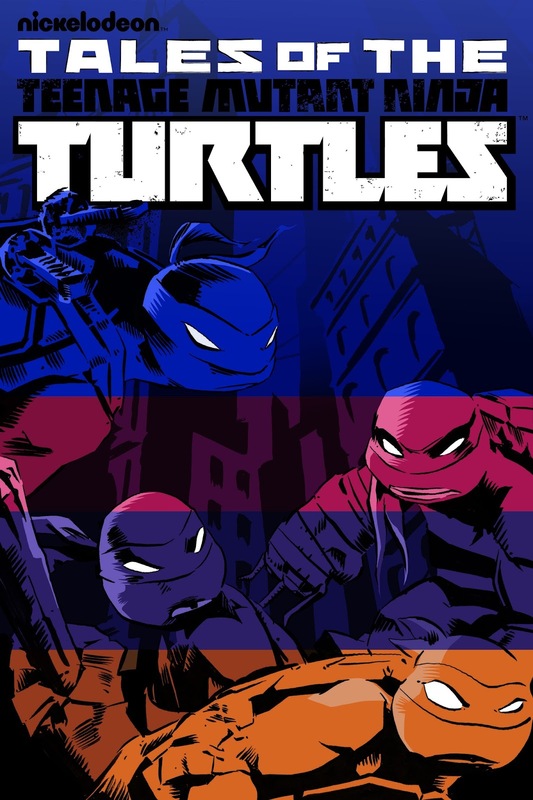 In the episode, the Turtles believe they have defeated their old enemies, but they soon discover a new evil is rising. Hamill lends his voice as the villainous Kavaxas during the next three premiere episodes. 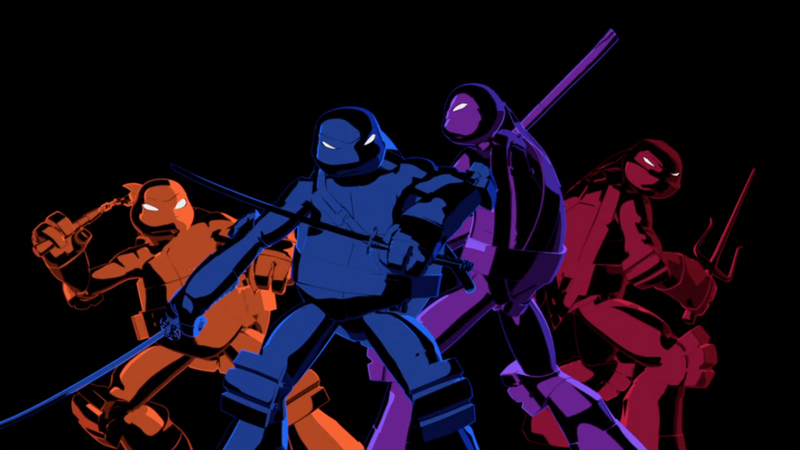 Additional characters set to appear in Tales of the Teenage Mutant Ninja Turtles include: Count Vlad Dracula, the lord of the vampires; Savanti Romero, an evil time master from the future; Esmeralda, a kind and weary Romanian traveler with an expert knowledge of monsters; Sumo Kuma, a fierce and cunning Samurai commander; and Verminator Rex, the vicious leader of a gang. The series is executive produced by Ciro Nieli and Brandon Auman. More Nick: Nickelodeon Launches All-New Brand Refresh In Germany, Switzerland and Austria; Shortens On-Air Name To 'Nick'! Source: Nick Pressecenter; H/T: Nick News (Germany). Follow NickALive! on Twitter, Tumblr, Google+, via RSS, on Instagram, and/or Facebook for the latest Nickelodeon Austria, Nickelodeon Switzerland and Tales of the Teenage Mutant Ninja Turtles News and Highlights! 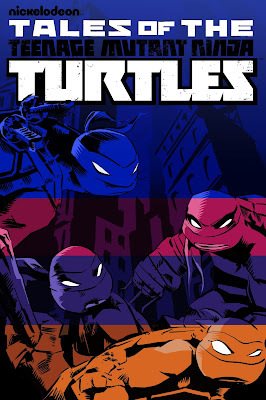 Leonardo, Raphael, Donatello and Michelangelo return in Nickelodeon's season five anthology series, Tales of the Teenage Mutant Ninja Turtles, on Friday 4th August 2017 at 14:40 Uhr on Nickelodeon Germany (Deutschland)! The latest season of TMNT follows the Turtles through a variety of action-packed and bizarre adventures that have never been seen before. Produced at Nickelodeon in Burbank, premieres from the new 20-episode season will continue to air every Friday at 14:45 Uhr on Nickelodeon Deutschland. Follow NickALive! on Twitter, Tumblr, Google+, via RSS, on Instagram, and/or Facebook for the latest Nickelodeon Germany and Tales of the Teenage Mutant Ninja Turtles News and Highlights! Di Più Nickelodeon: Nickelodeon Italy Launches All-New On-Air Brand Refresh, Reflecting Playfulness and Imagination of Kids’ Lives! Follow NickALive! on Twitter, Tumblr, Google+, via RSS, on Instagram, and/or Facebook for all the latest Nickelodeon Italy, Nick Jr. Italia and Fresh Beat Band of Spies News and Highlights! 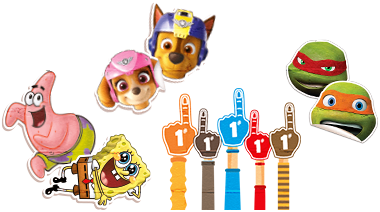 In the brand-new PAW Patrol "Sea Patrol" Summer Event, "Pups Save a Baby Octopus" (#413), the Sea Patrol must save the day when a baby octopus gets separated from its mother and sinks the Flounder! More Nick: Nickelodeon USA's July 2017 Premiere Highlights! Your favorite Nickelodeon stars from The Thundermans, Henry Danger & Game Shakers wish Canada a Happy 150th Birthday! More Nick: Nelvana and Dark Horse Comics Partner on "Mysticons"; New Action Series Slated to Debut on Nickelodeon USA This Summer & YTV This Fall! Watch iCarly on Nickelodeon, TeenNick and Nicknight! Mehr Nick: Drake & Josh | Let's Get This Party Started | Nicknight | Nickelodeon Deutschland! Follow NickALive! on Twitter, Tumblr, Google+, via RSS, on Instagram, and/or Facebook for the latest Nickelodeon Germany, Nicknight and iCarly News and Highlights! More Nick: Nickelodeon Brings O-Town, Hillwood, Bikini Bottom, and More to Life at Comic-Con International: San Diego July 20-23, 2017! More NickSplat: Sabrina the Teenage Witch | Intros with Lyrics | #NickSplat | #TBT | Nickelodeon UK! I nuovi episodi di Henry Danger arrivano il 10 luglio alle 18:45 su Nickelodeon (SKY 605)... e Capitan Man e Kid Danger andranno anche nello spazio! Follow NickALive! 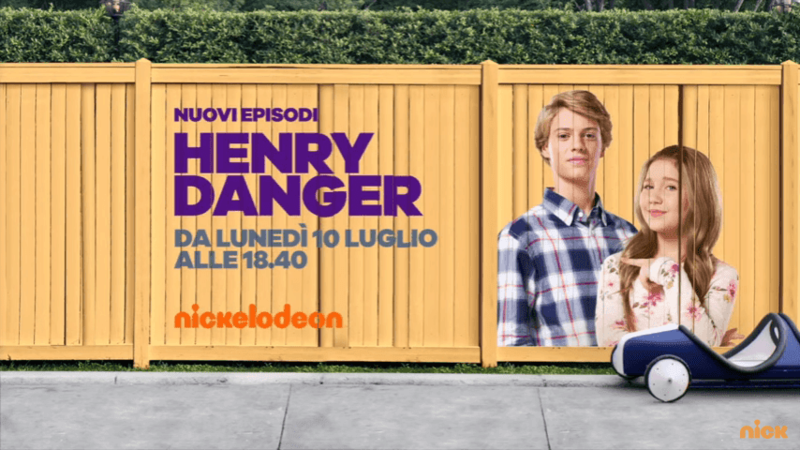 on Twitter, Tumblr, Google+, via RSS, on Instagram, and/or Facebook for all the latest Nickelodeon Italy and Henry Danger News and Highlights! Watch more Hunter Street on Nickelodeon! Plus Nickelodeon: Nickelodeon France To Premiere Brand-New Episodes Of "Harvey Beaks" From Saturday 8th July 2017 At 09:30 (10:30+1)! Follow NickALive! on Twitter, Tumblr, Google+, via RSS, on Instagram, and/or Facebook for the latest Nickelodeon 4Teen France and Hunter Street News and Highlights! More Nick: "School Of Rock" Stars Breanna Yde And Ricardo Hurtado Set For SLIMEFEST 2017 | Nickelodeon UK! Plus Nickelodeon Junior: Carotina Superbip | Les petits écureuils | NICKELODEON JUNIOR FRANCE! Ne rate pas les nouveaux épisodes de Mes parrains sont magiques, à partir du 8 juillet sur NICKELODEON. Follow NickALive! on Twitter, Tumblr, Google+, via RSS, on Instagram, and/or Facebook for the latest Nickelodeon France and The Fairly OddParents News and Highlights! Mehr Nick: Nickelodeon Launches All-New Brand Refresh In Germany, Switzerland and Austria; Shortens On-Air Name To 'Nick'! Follow NickALive! on Twitter, Tumblr, Google+, via RSS, on Instagram, and/or Facebook for the latest Nickelodeon Germany and School of Rock News and Highlights! ¿CUÁL ES TU NICK SHOW FAVORITO DE TODOS LOS TIEMPOS? ¡QUE NICKELODEON SEPA EN YOUTUBE! Más Nick: Vikki RPM | First Teaser Trailer | Nickelodeon Latinoamérica! Follow NickALive! on Twitter, Tumblr, Google+, via RSS, on Instagram, and/or Facebook for the latest Nickelodeon Latin America News and Highlights! More Nick: Nickelodeon Explores Tech R&D with New Entertainment Lab! Follow NickALive! on Twitter, Tumblr, Google+, via RSS, on Instagram, and/or Facebook for the latest Nickelodeon at VidCon 2017 News and Highlights! 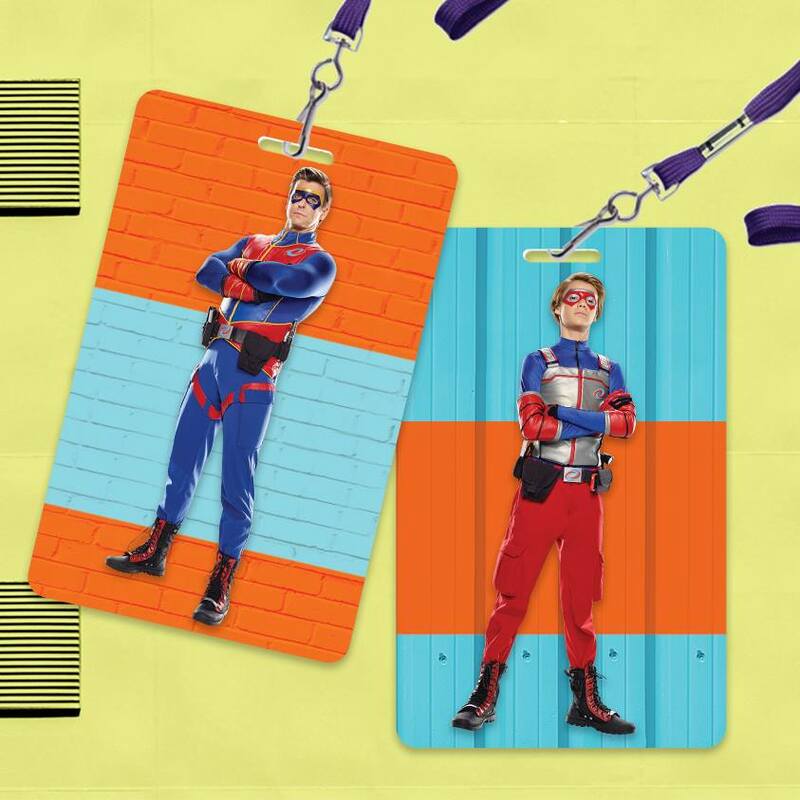 We all know Jack Griffo as Max Thunderman, the superhero who once wanted to be a supervillain, on Nickelodeon’s hit comedy The Thundermans. As it turns out though, Max Thunderman didn’t even exist before a total rewrite happened. 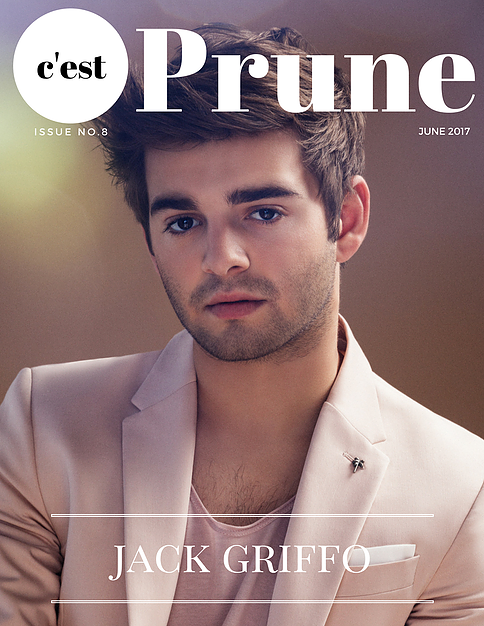 Jack recently revealed to Prune magazine that after the network passed on another pilot he was in, the opportunity for The Thundermans came his way. "I had a big pilot previously, but Nickelodeon let me go when the pilot didn’t get picked up, which was hard for a 15-year-old kid. The next year, they called my reps about The Thundermans", he shared, adding "I knew about the show, because I knew Kira (Kosarin). It was already a pilot, and there wasn’t a role for me, but they explained that they had changed the show a bit. It was now about twins instead of just a girl. I went in and read for the show, and the rest is history from there." And that’s how Maximus Octavius Thunderman was born. Check out these super video clips from a un-aired The Thundermans pilot episode here on NickALive!, and don't forget to read C'est Prune magazine's full interview with Jack, in which he also talks about his girlfriend Paris Berelc, meeting John Varvatos's daughter, who is one of The Thundermans' biggest fans, his musical aspirations, and what he has planned following The Thundermans, here on prunemagazine.com! More Nick: 'Kira Kosarin & Jack Griffo Celebrate 100th EP of The Thundermans!' Behind the Scenes | Nickelodeon! H/T: Just Jared Jr.; Additional source: J-14. Nickelodeon Iberia today, Thursday 29th June 2017, launched Nickelodeon's large-scale brand refresh, featuring a design that fully reflects the role of play and imagination in kids lives, and a array of kids interacting with the real world and Nick’s beloved characters in surprising and surreal mixes of live-action and graphics, on Nickelodeon Spain (España) and Nickelodeon Portugal! 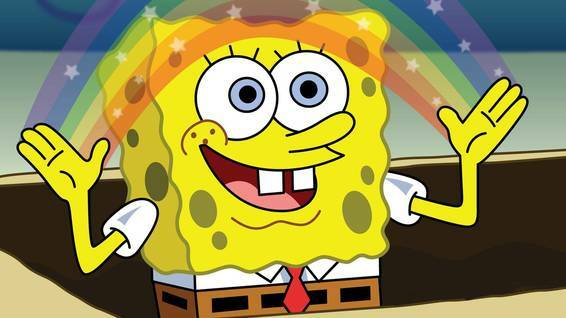 Nickelodeon's new image demonstrates the role of imagination, creativity and play in the lives of children, combining real kids with 2D and 3D graphics to create imaginative reinterpretations of Nickelodeon’s properties and characters as they became real-world playgrounds for kids to bring to life, rearrange and redesign. From turning SpongeBob’s face into a tongue-twisted fun zone, to kids rearranging and rebuilding Lincoln Loud from The Loud House, everything from the overhead and docu-style camera angles to the seamless blend of real-world, tactile and fantastical elements, is designed to drive a visual conversation between the network and its audience. The result is an unusual and often surreal mixture of photo and graphics that kids are sure to love. Nickelodeon's new look consists of almost 300 elements, including bumpers, IDs, fillers, visual effects, graphic developments, and an extensive graphic package for creating promotional videos. Many of the elements have been adapted for local audiences. Created with global branding and creative agency Superestudio, based in Buenos Aires, Argentina, Nickelodeon's latest brand refresh reflects the fact that the channel has become a integral part in the life's of modern children, opening up new opportunities for them to play, create and communicate. Nickelodeon’s classic orange logo will now be set against an updated color palette of bright and cheerful tones, including purple, light blue, lime and cream. Embracing the bold, modern sans-serif type, Galano Grotesque Black, the refresh also uses color to create, contrast and codify the on-air messaging. As part of Nickelodeon Iberia's refreshed on-screen presentation, Nickelodeon has reintroduced the "Next" on-screen icon, displaying the show on next, which now sits at the beginning of each show. More Nick: Nickelodeon Portugal To Host Country's First-Ever Nick Fest In July 2017! Source: ToonZone Forums member RandomMe. Follow NickALive! on Twitter, Tumblr, Google+, via RSS, on Instagram, and/or Facebook for all the latest Nickelodeon Iberia News and Highlights! 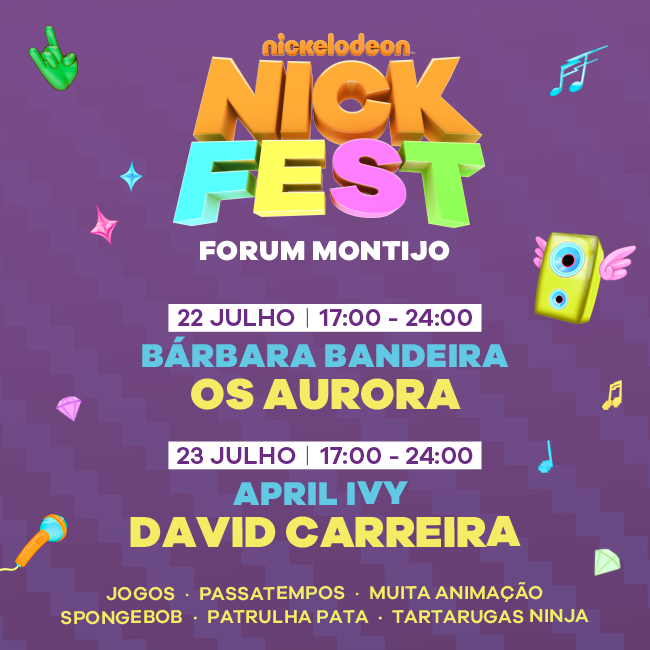 Nickelodeon Portugal has announced the very exciting news that Nickelodeon will host Portugal's first-ever "Nick Fest", Nickelodeon's hit family-centric festival at Forum Montijo in July 2017! NickFest 2017 will welcome kids and families to Forum Montijo on Saturday 22nd and Sunday 23rd July 2017 for an amazing weekend of music and family fun, packed with entertainment, activities, games (jogos), competitions (passatempos), events, cartoons (muita animação) and experiences for all ages. Thrilling kids and parents alike, NickFest brings families together thanks to its unique combination of live music from local A-listers and appearances by Nickelodeon superstars from SpongeBob SquarePants, Paw Patrol (Patrulha Pata), and Teenage Mutant Ninja Turtles (Tartarugas Ninja)! 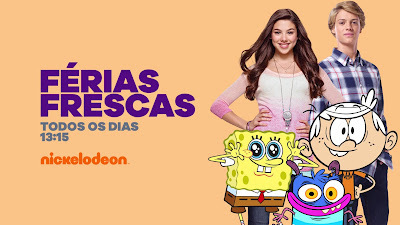 More Nick: Nickelodeon Acquires Additional Seasons Of "Larva" For Spain, Portugal And Portuguese-Speaking Africa! Follow NickALive! 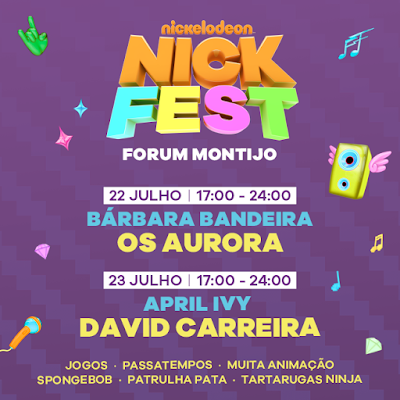 on Twitter, Tumblr, Google+, via RSS, on Instagram, and/or Facebook for the latest Nickelodeon Portugal and NickFest 2017 News and Highlights! Смотри на Nickelodeon в июле! from Nickelodeon_RU on Vimeo. Plus, Nickelodeon will launch "Таинственный час" ("Mysterious Hour"), featuring encores of Nickelodeon's hit mystery series House of Anubis (Обитель Анубиса; SIBUNA!) and Hunter Street (Хантер Стрит)! More Nick: Nickelodeon Russia Launches All-New On-Air Brand Refresh, Reflecting Playfulness and Imagination of Kids’ Lives! SANTA MONICA, Calif., June 29, 2017 /PRNewswire/ -- Super League Gaming, the global community platform that offers accessible esports competitions, content and social interactions for amateur gamers, today announced that it has received $15 million in Series C funding from Nickelodeon, a division of Viacom, DMG Entertainment, a SoftBank-managed fund, Toba Capital, Cali Group and multiple traditional professional sports team owners including Jeffrey Vinik, owner of the NHL's Tampa Bay Lightning, and aXiomatic, a premier esports entity backed by professional sports and media leaders. To date, Super League has raised more than $28 million, with earlier participation from investors including Cinemark USA, Inc., ET Capital and Quadrant Management. "Esports is exploding in popularity around the world, but the current landscape is lacking an open, easy access point for aspiring gamers and enthusiasts to connect and participate," said Ann Hand, CEO of Super League Gaming. "With our online and live in-person events, we're leading the way in bringing gamers into esports in a safe, fun and socially rewarding way. Our city-based clubs add a sense of belonging and fandom currently missing from esports." Founded in 2014 with its initial offering of Minecraft events in movie theaters for kids, Super League has now hosted more than 30,000 kids in friendly competition over six seasons of play. In November of 2016, Super League expanded its offering by introducing the world's most played video game, League of Legends, to its competitive events series in partnership with Riot Games. There has been one season of League of Legends intercity tournament play, with the second season launching online in July in 12 markets across the United States. "We are excited to enter the world of esports through our relationship with Super League, which has a loyal and growing fan base of kids," said Matthew Evans, Executive Vice President of Digital and New Business, Nickelodeon. "Nickelodeon is interested in esports because gaming is an important passion point for kids today, and forging this partnership with Super League puts us at the forefront of where kids will be playing next." "Fans worldwide are ravenous for esports, both as spectators and players. No one is better than SLG to bring organized amateur esports to the biggest markets in the world," said Dan Mintz, CEO and Co-founder of DMG Entertainment. "We are excited to partner with SLG and expand its footprint globally." Super League pioneered the way for accessible esports competitions by introducing City Rec and City Champs, establishing the structure and model for amateur esports rooted in one's locality. These city-focused teams mirror the benefits of traditional sports teams and bring gamers together in a way never before possible. The Chicago Force will be defending the title for the second season of League of Legends City Champs, while the reigning Minecraft City Champs are the LA Shockwaves. "In my career in professional sports, the most exciting thing is the energy and enthusiasm that fans show for their city's teams," said Jeff Vinik, owner of the Tampa Bay Lightning. "Go to any Super League event, and you will see the same energy of players and fans cheering for their city's team that we see in the NHL." Super League Gaming (www.SuperLeague.com) is the world's first, biggest and most accessible esports league for gamers that takes place both online and in-person gaming arenas. Our community building platform enables unique, local gaming experiences for players around the world of all ages and levels to experience recreational and competitive gaming, content creation and sharing, and social networking. Super League has pioneered city teams in esports tapping into gamers desire for more connectedness and the inherent desire to represent and root for their home team. 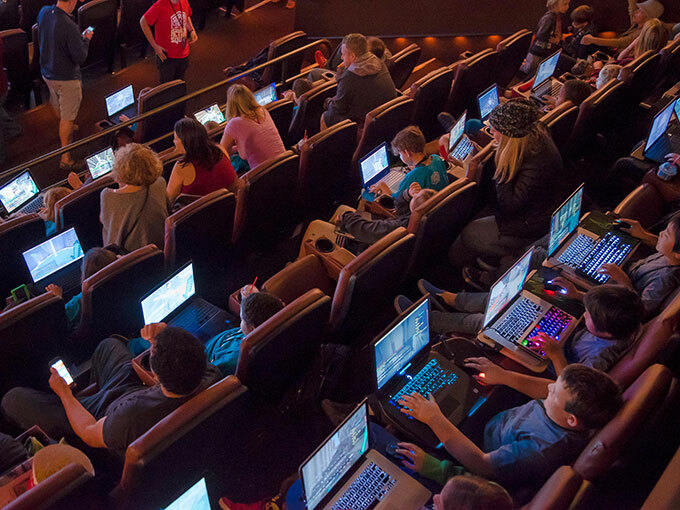 Our current catalogue focuses on Minecraft and League of Legends and establishes movie theatres as the ultimate arenas to experience some of the world's most popular games in a new and social context. The current offering focuses on amateur esports in local, intimate gaming arenas, but the potential offers and venues are boundless. The investment gives Nickelodeon a larger foothold into the eSports gaming market, which generated revenue of nearly US$500 million in 2016, according to recent NewZoo stats, reports Kidscreen. Although unconfirmed, however, Craig Bartlett, the creator of Nickelodeon's iconic '90s animated series Hey Arnold!, may have just dropped a major fact about character from his hit Nick show! 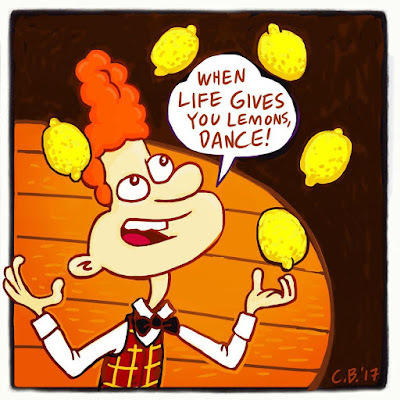 In his latest post on his official Instagram profile page, @CraigBartlett, Craig has hinted that Eugene Horowitz, one of Arnold's best friends in the show, is gay by captioning a picture of Eugene, above, with "Happy #pridemonth, Eugene!" Although it's been hinted at before, with Craig once saying that Eugene is "kind of 'proto-gay,' so he's uncomfortable getting together with any girl". Eugene wouldn't be the first homosexual character featured in the series. Craig also confirmed a while ago that Mr. Robert Simmons, the gangs teacher at P.S. 118 in Hey Arnold!, is gay, though it was never outright mentioned during the show. If it is confirmed that Eugene is gay, it would be a fantastic development, especially as The Loud House, one of Nickelodeon's current hit animated series, is also including LGBTQ+ characters! H/T: The commentators in Craig's latest Instagram post. Featuring a shout-out to many favourite Nick UK shows: Kenan & Kel, Sabrina, The Teenage Witch, Rugrats, Tucker, Sister, Sister, Two of a Kind, Are You Afraid of the Dark?, SpongeBob SquarePants, The Journey of Allen Strange, Angry Beavers, The Secret World of Alex Mack, CatDog, Cardcaptors and Saved By The Bell - plus Nickelodeon UK's 'Nick Now' BUG/DOG. Come in quick with a rewind! More NickSplat: Bruno The Kid | Intro | #NickSplat | #TBT | Nickelodeon UK! Follow NickALive! on Twitter, Tumblr, Google+, via RSS, on Instagram, and/or Facebook for the latest Nickelodeon UK and NickSplat UK News and Highlights! More Nick: Title Of 100th Episode Of The Thundermans Revealed! More Nick: JoJo Siwa | BTS on the ‘Kid in a Candy Store’ Official Music Video | Nickelodeon! Les épisodes inédits d'Harvey Beaks débarquent le 8 juillet sur NICKELODEON ! Plus Nickelodeon: Nicktoons Africa To Premiere Final Episodes Of "Harvey Beaks" In July 2017! Follow NickALive! on Twitter, Tumblr, Google+, via RSS, on Instagram, and/or Facebook for the latest Nickelodeon France and Harvey Beaks News and Highlights! Featuring the Castilian Spanish dub of Nella, Una Princesa Valiente. Follow NickALive! on Twitter, Tumblr, Google+, via RSS, on Instagram, and/or Facebook for the latest Nickelodeon Spain, Nick Jr. España and Rusty Rivets News and Highlights! Featuring the Castilian Spanish dub of Rusty Rivets. Tune into YTV's 6-3-0 every weeknight for Henry Danger, The Thundermans, Hunter Street, Game Shakers and Nicky, Ricky, Dicky & Dawn! Más info: http://bit.ly/2rD2Ptl & Nick Play! 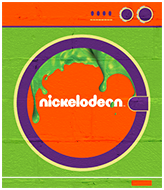 Visit nickelodeonarabia.com for aweslime Nickelodeon shows, games and videos! Follow NickALive! on Twitter, Tumblr, Google+, via RSS, on Instagram, and/or Facebook for the latest Summer on Nickelodeon Arabia News and Highlights! Profile: Mitchell Kriegman, Creator Of "Clarissa Explains It All"
More Nick: Profile: Rick Witkowski, Iconic Nickelodeon Theme Song Composer! H/T: CNN; Additional sources: IMDb (I, II), Wikipedia. Calling all Super Slime Fans: Nickelodeon Asia has announced Slime Cup Singapore 2017! Back for the fifth year, the Nickelodeon Slime Cup SG is the Slimiest festival packed with tons games, lots of action, and of course, gallons of Nickelodeon's famous green slime. Held the weekend of 15-16 July 2017 at City Square Mall in partnership with Singtel, the Nickelodeon Slime Cup SG encourages an active lifestyle and promises tons of play for kids aged 4 years and above. With Slime a main ingredient in the sports-oriented activities, prove your worth as a SUPER SLIME FAN by completing various Slimy obstacles and stand to take home goodie bags in Nickelodeon's Great Slime Giveaway. But it’s not all fun and games too as you can take photos with Nickelodeon faves like SpongeBob SquarePants, Patrick Star, the Teenage Mutant Ninja Turtles, and PAW Patrol. - And an extra change of clothes! You're gonna get slimy! In the lead up to the Nickelodeon Slime Cup SG, download the free Nickelodeon Play app (available on Android and iOS, and accessed through the Variety Plus Pack via Singtel’s Cast app) and take part in the Slime Fan Challenge from Monday 12th June - Monday 3rd July 2017. Look for the hidden slime within the Nickelodeon Play app and stand to win bottles of Nickelodeon’s signature green slime! Initiation Ceremony: Celebrate Slime Cup with your all-time favorite Nickelodeon characters! 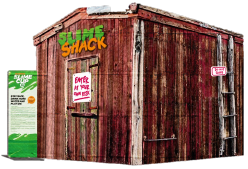 Secret Slime Shack: Experience slimy surprises! 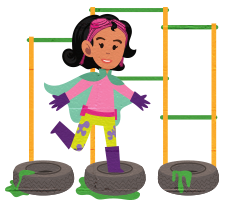 Obstacle Courses: Master the slimiest challenges! 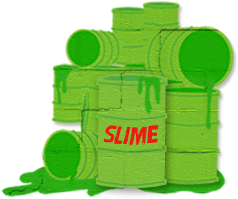 Slime Wash: Get sloshed COMPLETELY in SLIME! Great Slime Giveaway: Nickelodeon's the REAL DEAL! Get the chance to win one of thousands of goodie bags! Open to Singtel subscribers only. Simply show Nickelodeon proof of your Singtel service (IE, Singtel bill, Singtel operator logo, or My Singtel app) at the recruitment stations (Slime Cup entrances) to get access to games and activities. One NRIC number will admit a family of four. Want a mystery gift? Complete the Super Slime Fan requirements checklist! Visit nick-asia.com for full information! Additional source: The New Age Parents. Follow NickALive! on Twitter, Tumblr, Google+, via RSS, on Instagram, and/or Facebook for the latest Nickelodeon Slime Cup 2017 News and Highlights! Nickelodeon Italy (Italia) today, Wednesday 28th June 2017, launched Nickelodeon's large-scale brand refresh, featuring a design that fully reflects the role of play and imagination in kids lives, and a array of kids interacting with the real world and Nick’s beloved characters in surprising and surreal mixes of live-action and graphics! Nickelodeon's new look consists of almost 300 elements, including bumpers, IDs, fillers, visual effects, graphic developments, and an extensive graphic package for creating promotional videos. Many of the elements have been adapted for local audiences, including bumpers displaying local show names. Specifically for Nickelodeon Italia, Nickelodeon's Italian creative team have adapted the global creative materials for the local market. In additional news, Nickelodeon Italia recently launched "Nickelodeon Campus", a brand-new online initiative in which visitors can become the biggest Nickelodeon fan by completing quizzes! Di Più Nickelodeon: Nickelodeon Italia To Premiere "Henry Danger" Season 3 On Monday 10th July 2017! Source: ToonZone Forums member Francisque.